The Greek Community in Wilmington came together like most other ethnic groups around the country. What brought them to Wilmington was the promise of the opportunity that a growing city could offer. The early Greek pioneers in Wilmington were not afraid of work. They accepted just about every type of work. But, once they established themselves, they set about forming associations and a “Greek” school for their children, and their church, what we now call Holy Trinity. 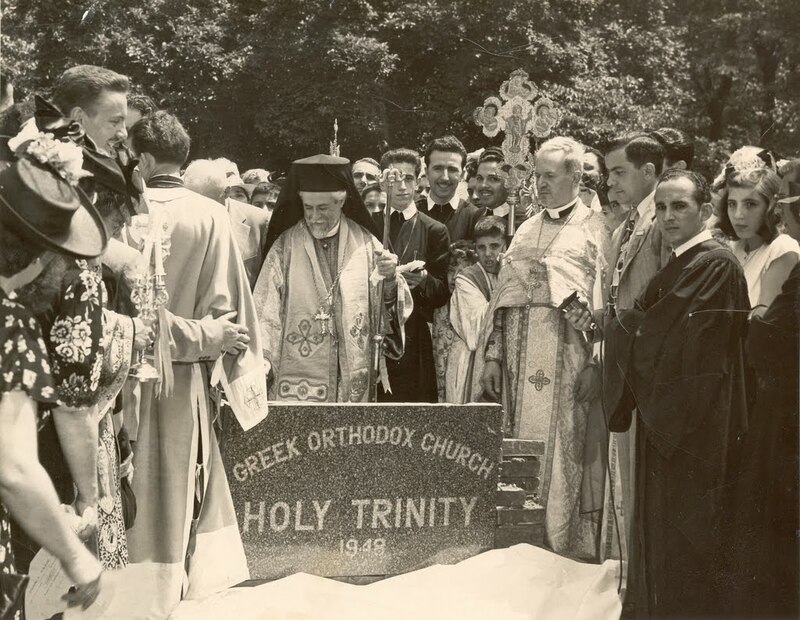 Today, as it has been since 1934, The Ecclesia – the Church – is the center of the Greek Community in Wilmington. Unlike other ethnic groups in Wilmington, there is no “town”. While many Greeks lived near their church (after all, as recently as 1950, half the people who lived in Delaware, lived in Wilmington! ), they lived downtown, the East side, the Ninth Ward, and West Center City. In 1890, the first known Greek immigrants arrived in Wilmington. They were the Tsagares brothers, Panagiotes and James. Within a few years, a name that is still known I Wilmington, arrived and started the first “Big” Greek business in Wilmington. John Govatos founded Govatos Candies and the Greeks of Wilmington had their first “connected” leader. In 1913, Charles Tarabicos arrived and opened a restaurant. The first indication of “Community” came about in 1920 as the Greek Language School was established on the second floor of his Presto Restaurant at 8th & Market Streets. A study of early 20th Century businesses found many confections and restaurateurs up and down Market Street, King Street, and beyond. In their desire to organize, the Greeks of Wilmington formed associations. The “Victory Society” in 1910, the “Panhellenic Union” in 1912, but it was the men’s organization, “Homer Society,” formed around 1920, that evolved into the driving force that cultivated the early seeds into what is now the Greek Community of Wilmington. But they needed some national help to set things in motion. In 1922, in Atlanta, Georgia, a fraternal organization was formed. Its goal was to Americanize the Greek immigrant by helping them learn the language and become citizens. Another goal was to protect the new American from the bigotry of organizations like the Ku Klux Klan, which at the time, was a major force in American politics. But its lasting influence was that it spearheaded the construction of Greek Orthodox Churches while organizing Greek Communities throughout the United States. That organization is the Order of AHEPA, (American Hellenic Educational Progressive Association). In 1926, under the leadership of John Govatos, Charles Tarabicos, and others, the Homer Club in Wilmington was transformed into Wilmington Chapter #95 of the Order of AHEPA. With dedicated leaders and the support of the National Organization, the Greeks of Wilmington were on their way! Greeks enjoy a special bond with their religion. Even though there was no church building, throughout the early years services were conducted by traveling priests who would come from Philadelphia. Some services were conducted at St. Andrews Episcopal Church at 8th & Shipley Streets. Others at St. John’s Episcopal; Cathedral at Concord Avenue and Market Street. But from 1927 to `1939, regular services were conducted on the 3rd floor of the old “Law Building” at 9th & Market Streets. In 1939, the community was formally incorporated and the campaign to raise funds for the purchase of a site and construction of a church was begun shortly thereafter. In July, 1939, the community purchased the estate of the home of the late U.S. Senator T. Coleman DuPont for 35,000, as the site of their church. The stables to the rear of the estate were converted into our first “permanent” church edifice. 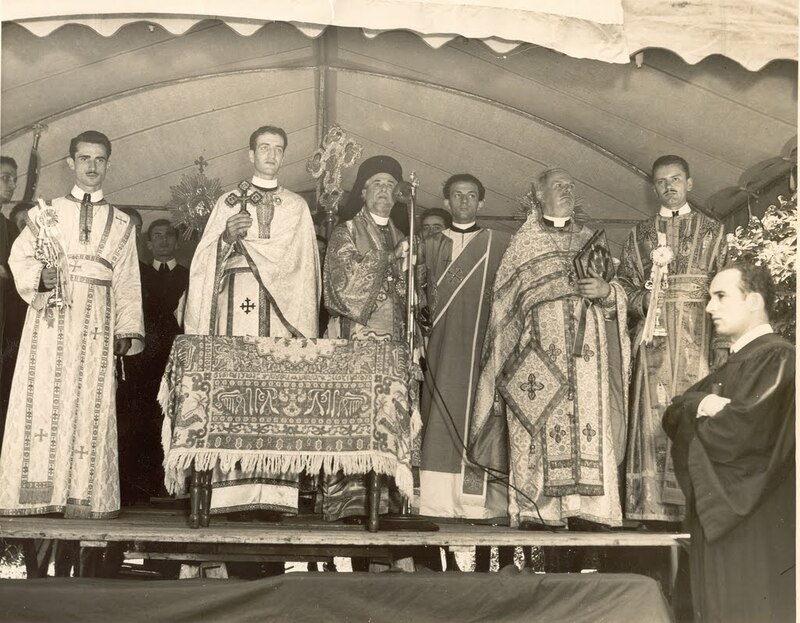 On November 30, 1939, Archbishop Athenagoras blessed the opening of the campaign to raise $150,000 at a fundraiser in the Gold Ballroom of the Hotel DuPont with dignitaries like Delaware Governor Richard McMillan, Wilmington Mayor Walter Bacon, and Greek Minister to the United States Demetrios Sicilianos present. World War II delayed the construction of the Church, but the Greeks of Wilmington did their patriotic duty by selling War Bonds and helping their relatives in Nazi-occupied Greece and later with the Greek Civil War. In October 1977, The Hellenic Community Center was opened with a special event featuring musical artist, Bobby Rydell. On February 5, 1978, the new center was dedicated. Later that year, with over 20,000 square feet of new usable space, the Christmas Bazaar was moved to June as a Food Festival. The community brought George Tsavalas (cousin of TV’s “Kojak”, Telly), to headline musical entertainment for the festival and a new chapter of our community was started. With the dawn of the new millennium, the community made an earnest effort to correct decades of engineering errors. 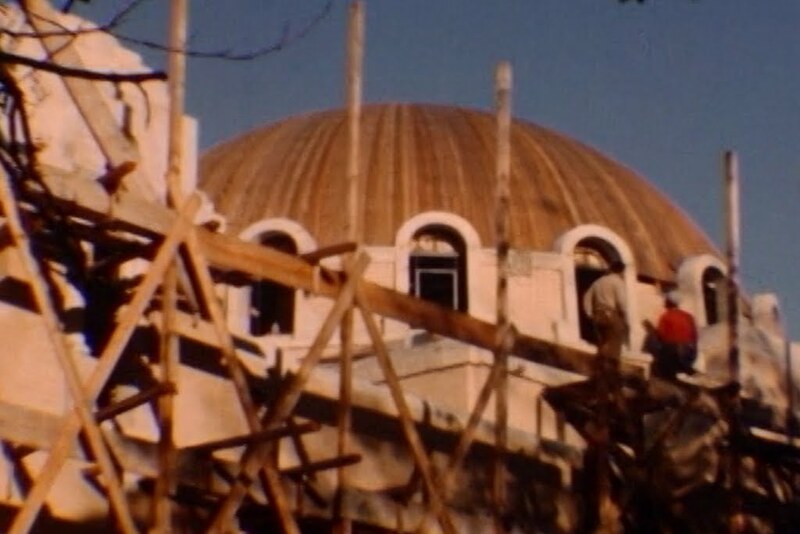 After years of leaks in the Byzantine dome, it was encased in a copper like barrier that finally stopped the leaking. Unfortunately over the years, the leaks destroyed the iconography in the dome and along the columns supporting the dome. In 2003, that iconography was completely updated using true Byzantine style.